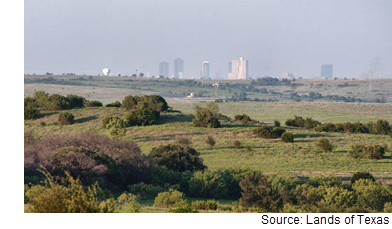 The property, located just 15 minutes west of Fort Worth, is near the 7,200-acre Walsh Ranch community development. It includes stretches of prairie, limestone outcroppings along creeks, and eight stock tanks. There is also a 3,882-sf pavilion with a two-bedroom apartment on site.